Sean Waltman was arrested in St. Petersburg, FL on Wednesday for possession of hydrocodone and drug paraphernalia. He was booked on $2150 bond. The last IYH before Christmas !!! We issue a dirt warrant on Santa !!! WWE returns to PPV with TLC live tonight headlined by CM Punk in a triple threat TLC match defending his title vs The Miz & Alberto Del Rio. 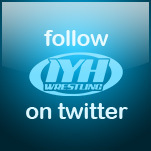 Join the Headyverse tonight to talk about the LIVE PPV in the IYH Chat Room. 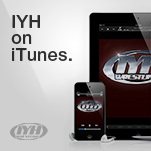 Make your predictions now on the IYH forums. Jack and Incher saved lives on IYH !!! The following were tweets by Jim Ross in response to Michael Cole's recent Smackdown commentary making fun of JR's Bell's palsy. "Hope Cole never gets ill. Sad commentary,"
"Pathetic cheap heat by Cole. On par with Ed Ferrara if you ask me. Ron White says "You Can't Fix Stupid." "McMahon wasn't at Smackdown," Ross wrote. "So we can blame a 'writer.' that's cowardly. Poor attempt to be a villain." VIP "All Access" Passes, Hall of Heroes Tix On Sale Now! Former WWE superstar updated his fans on why he left WWE and what he is up to. Sheamus' interview from Late Night with Jimmy Fallon. Jack note: they misspelled Sheamus on the website as "Schamus". WWE superstar Tyler Reks' animated youtube show. Will Tyler Reks be as successful as Zach Ryder ? WWE announcer Jack Korpela has left the company. I know we are all very sadden by this shocking news.